A World Comes Together To See The “Super Moon”. As most of you might have heard, last night was an astronomical event (in more ways than one). The “Super Moon” that so many were excited to witness has not been visible since 1982 and will not be again until 2033. It is incredible that it takes something as simple (and astounding) as a lunar eclipse to bring the world together. Social media lit up over night with incredible images of this natural wonder. Strangers in cities all over the world found themselves standing by one another as they shared an experience they would remember for years to come. At a time in the world where the only images we see on the news are devastating, it was a breath of fresh air to view this wonder with a sense of curiosity and awe. 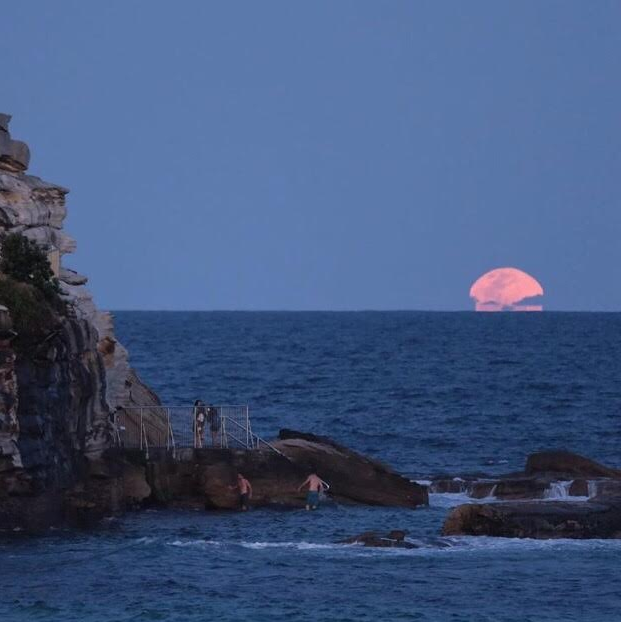 I watched the moon rise by the ocean in Coogee, where I reside. It seemed as though the entire suburb was there together. For me, last night’s moon represented the beginning of summer, good vibes, future prospects and good juju. This, of course, is just my take on the evening. Did you watch the eclipse/ super moon last night? Does the moon represent anything special to you?